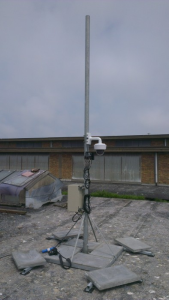 Currently three permanent Birdcams are installed: (1) at the rooftop of the VLIZ building in Ostend, (2) in the Spuikom, a local salt water body in Ostend, and (3) on the railing of the C-Power windmill WTG I5 on the Thorntonbank. 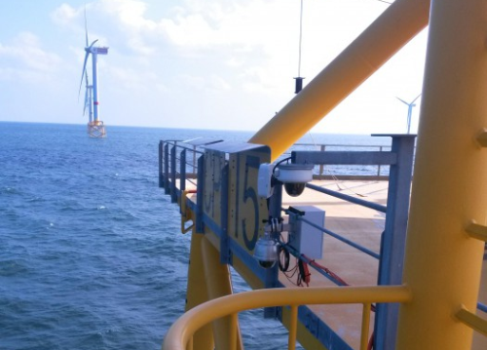 Additionally, a mobile Birdcam installation is used at the Scheelhoekeilanden in the Dutch Delta area. These Birdcams serve several purposes, e.g. 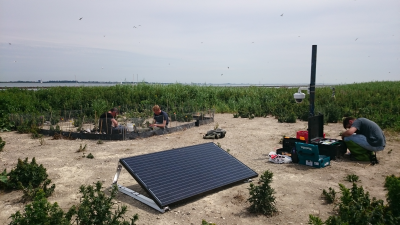 to observe the nesting behavior of the European Herring Gull, to study the breeding and feeding ecology of Sandwich Terns, to survey several (water) bird species, and to monitor the VLIZ measuring buoy in the Belgian Part of the North Sea.